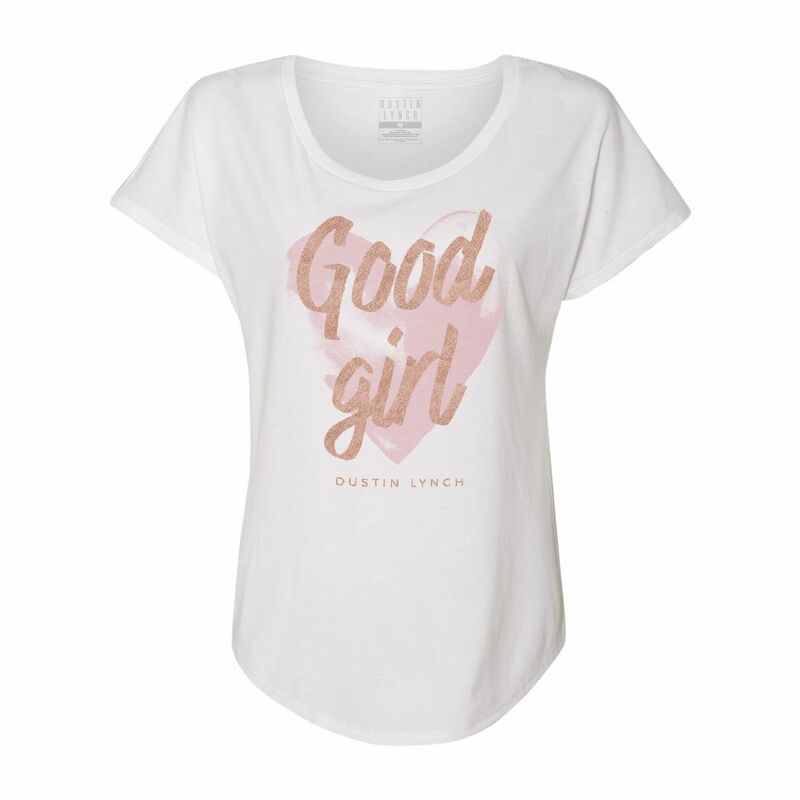 Ladies white dolman t-shirt featuring rose gold foil in Good Girl graphic on the front. 3.7 oz. 65/35 viscose polyester/cotton, Subtle curved bottom hem, Scoop neck, Relaxed, slouchy fit. This shirt is super soft and has a relaxed fit. Mine ran a little big - I typically wear a medium but got a small in this and I love how the small fits. Very cute design for all of the Good Girls! You won’t be disappointed in this t-shirt! Very pretty feminine rose gold foil lettering. Slouchy comfortable style. Very soft material.